I have hoards of nail polishes and often people ask me if my nail polishes survive. Do they dry up or become sticky? Well, yes, they do sometimes after several years or when I overuse them. A good nail polish from the trusted brand will never dry up if you use it carefully. I always apply my nail polishes in an air-free room. I mean to say where there is no flow of air. If you have a running fan or air conditioning in the room, it tends to dry up the nail polish. Most of us are habitual of keeping the lid of the nail polish off while applying it. This is one of the biggest reason, why your nail polishes dry up so fast. Apart from this, when the nail polish is overused or when it is sort of below the half line, it can become sticky as well. If you have such a nail polish or nail polishes handy, save them using these tips instead of throwing them away. 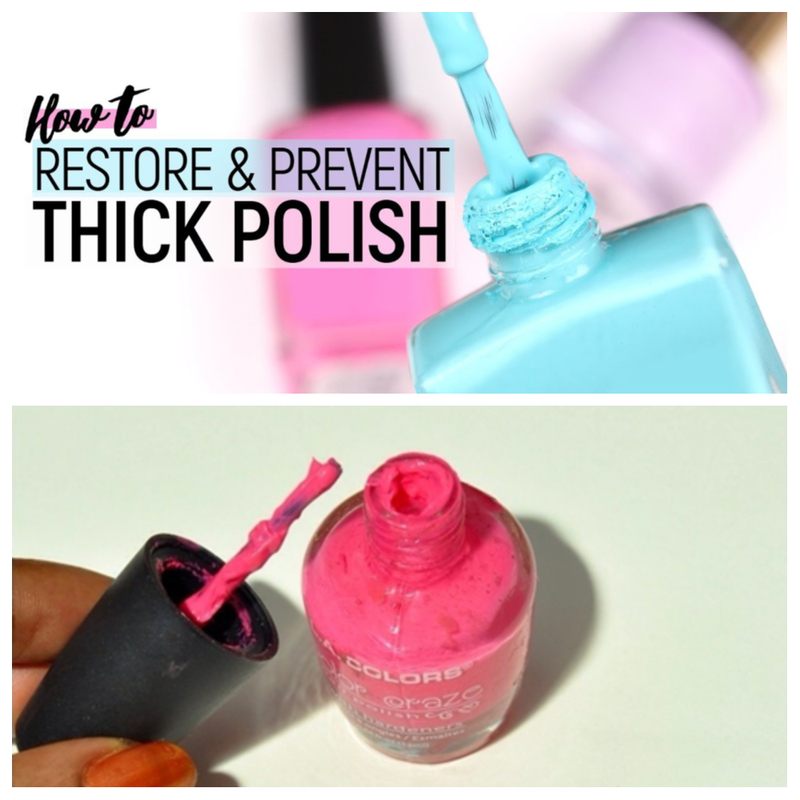 This trick is useful for all kinds of dried up and sticky nail polishes except gel polish. You can use them for glitter nail polish, crackle nail polish, metallic nail polish and your regular nail polish. I hope these tips were useful for you and you were able to save some of your favourite nail polishes.